Fantasy and science fiction series differ from mystery series: Mystery series tend to tell a single self-contained story in each novel although the novels have a recurring main character. Thrillers like Tom Clancy’s books about Jack Ryan are generally similar to mysteries in this sense. Then there are books such as John le Carre’s George Smiley spy novels that are loosely linked and contain the Karla trilogy within a larger series of novels. Usually, fantasy and science fiction series have smaller story arcs within each novel but tel a larger overall story as well. J.K. Rowling’s Harry Potter books are the perfect example of this. 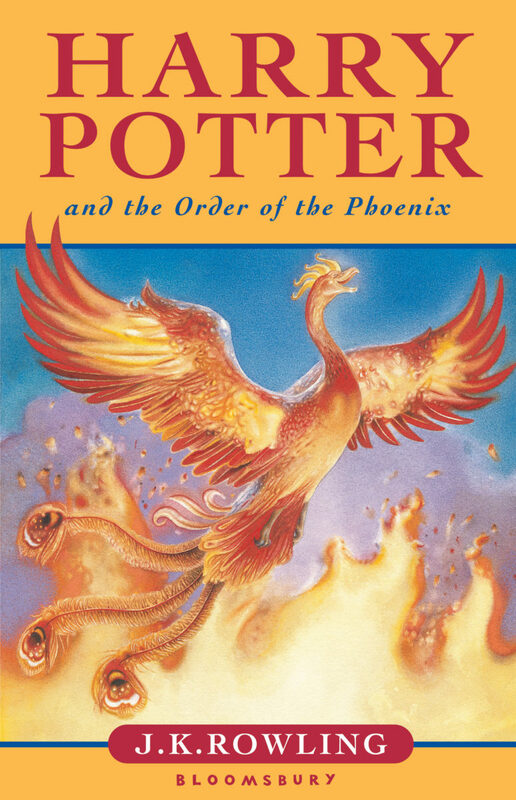 Each book features a central conflict with the series’ main villain, but there is an overarching story of Harry and his friends’ coming of age too. There are also other minor antagonists that allow for small climaxes within each book. Of course, the above genres are not the only ones that are written in longer story arcs. Historical fiction novels are often written in series too. Is your story big enough to stretch across multiple books? If you are writing in a genre like fantasy where series are popular, you may feel pressured to produce a group of books, but only do so if the story calls for it. Otherwise, you might find yourself with a condensed concept that simply cannot support multiple novels. A big part of learning how to write a series is learning what themes and plot ideas will benefit from expansive treatment. For example, consider the film adaptations of The Lord of the Rings and The Hobbit by J. R. R. Tolkien. The trilogy of films for The Lord of the Rings was based on a trilogy of books, so three films was the obvious approach to adapting the books. However, The Hobbit is a standalone children’s book. In the hope of recreating the success of the first three films, it was decided that The Hobbit would span three films as well. Because there simply isn’t enough in the book to make three films, the filmmakers turned to other works set in the same world by J.R.R. Tolkien to flesh out the film. Despite this, many critics and moviegoers thought the movies felt padded and forced and that the story would have been better told in a single film. Before you get started, make sure that you have enough story to justify a series and that your main concept is not flawed. Even if you dislike planning, a series demands it. One way to further develop a flawed concept to make it support multiple books is to use subplots like the Harry Potter books do. Not stopping where it makes most sense might not be the problem. You might struggle with finding a way to end the story off. Writing yourself into a corner is bad enough, but it’s even worse when you’ve done it across five or eight or ten books. Writing a series can become a bit like being in a bad relationship where you aren’t quite miserable enough to leave but know you could be happier in the long run if you didn’t stay. You might be bored with the series, but returning to the same setting or detective over and over again feels safe. In addition to planning ahead at the beginning of a series, another way to combat this is by always having other work going on. Perhaps you write short stories or alternate your series with standalone novels or perhaps you are simply working very slowly on a novel unrelated to your series. It matters less what this other project is than that it exists at all so that you don’t hang onto a series so long simply because you don’t know what you’d do with yourself otherwise. Some authors can successfully sustain series across decades. However, one thing you should consider if you are writing characters set in the real world is how they will age. If you have been writing a mystery series for twenty years, your character may not age quite that much in that time, but he or she also should not remain the same age. Think how little sense it would make if a character were thirty years old in a book published in 1990 when the internet and mobile phone usage barely existed and then imagine if the same character was still using the same methods and technology in 2015 at the age of thirty-two. Consider how you will handle the passing of time in your series. You may not always know what details you want to bring back from earlier books in the series. However, you have to be consistent throughout your series even if that means constantly rereading and taking notes on earlier books. You can’t have your character be an orphan in book one and go visit her father in book ten (unless she has some special power to commune with the dead). Places cannot shift around and the basic details of your characters must remain the same across your series’ arc. You may want to use spreadsheets or other methods of archiving and tracking these details as you write them so you can review them as needed. It’s possible to have too much consistency as well. Your characters must change. Even in a long-running mystery series without a larger arc, your protagonist should not be exactly the same in book seventeen as in book one. Think about yourself and the people you have known for many years. Even with people who do not change in major ways, there are subtle shifts in their attitudes, living situations, appearances and other aspects. Consider the ways in which the events of each novel will alter your characters. As mentioned earlier, a big story is necessary if you’re writing a fantasy or science fiction series with a major arc across all the books. However, you have to follow through with what you set up in the first book. One of the key points of learning how to write a series is that subplots must be seen through to the end. Foreshadowing should build to something that justifies it. Even if your series is a mystery series that features a recurring character rather than an arc, you still must still follow through. Some plot points will return throughout the series. For example, a detective might have a father who is in prison. If this is dropped in at some point in the first book, the reader will expect that this will feature in subsequent books in some way. Some editors may prefer that it be possible for a reader to start with any of your books and dive into your world. This might mean that you spend all your time worldbuilding so that any reader can gain an immediate sense of place. Be cautious of focusing so intently on the world of your book that your series becomes endlessly self-referential. You might consider enlisting the help of beta readers for each book in the series to get feedback on whether this is occurring. Some of the most popular and beloved works of fiction have been series. Examples include Agatha Christie’s stories of the detectives Hercule Poirot and Miss Marple to J.K. Rowling’s Harry Potter books to George R.R. Martin’s Song of Ice and Fire series. However, there are a number of potential errors you can make while learning how to write a series. From starting with a flawed concept, being unable to end the series and struggling with consistency to failing to follow through, these are all pitfalls you can avoid. By anticipating these problems ahead of time, you can plan a series and check yourself along the way to ensure that you avoid them. A series requires long-form planning. The Now Novel Story Builder makes learning how to write a book easier. Use the step-by-step process to create an easy-to-follow blueprint for your story.